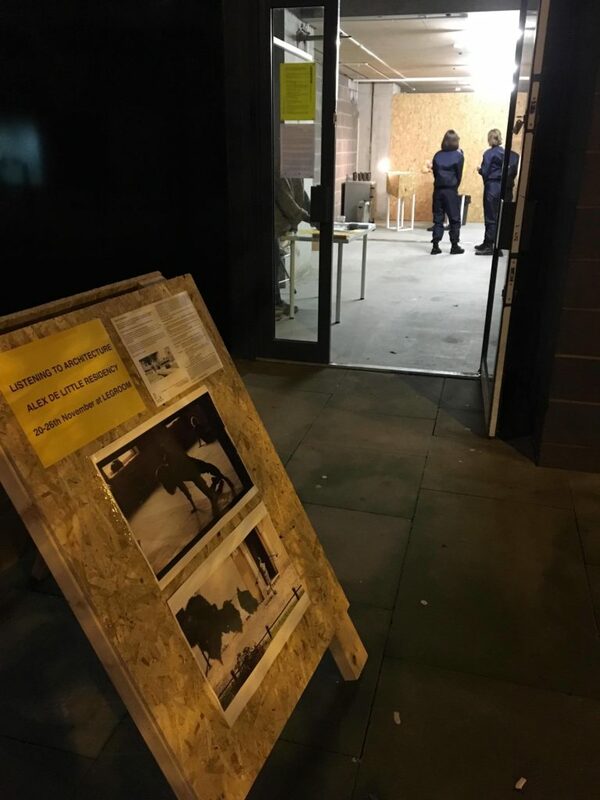 I recently undertook an artist residency at LEGROOM in central Manchester, from 20 to 26 November, 2017. The week-long ‘Listening to Architecture residency’ was spend developing my personal practice, and a public event program which showcased that newly developed work. 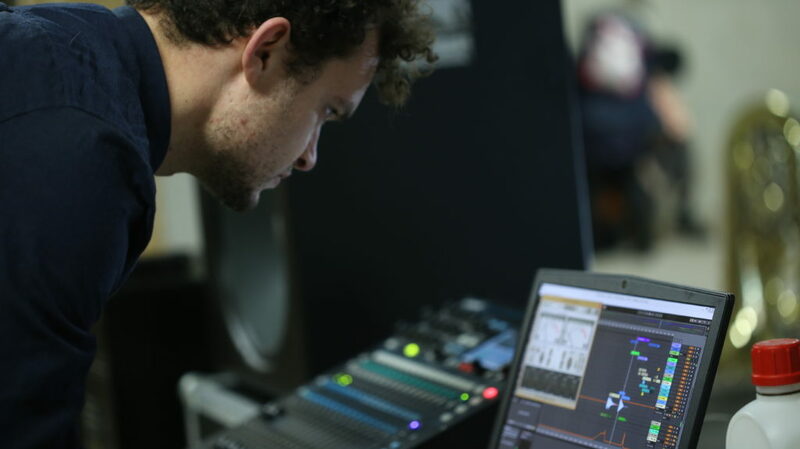 The public event programme featured collaborations with dancers Hannah Buckley and Tora Hed, as well as Tuba player James Seabrook from the Royal Northern College of Music, a group of local sound artists, and work by composer and technologist Stuart Mellor. During this residency, my aim was to create a range of situations in which the LEGROOM space as well as other locations around Manchester were actively listened to by audiences: A range of workshops and pieces used the language of the physical properties of sound to frame (and reframe) space through performative games whose instructions are always determined by listening to the acoustic response(s) of the space. Through this practice, listening becomes the method through which audiences and participants begin to know and engage with, space. The pieces and workshops that I created variously explored different types of movement and sound-creation in relation to this endeavour. The works used two broad approaches to ‘framing’ space. First, space as frequency, and second, space as time. The first approach aims to create understandings of spaces through exciting and listening to their resonant frequencies. The second creates understandings of spaces through the creation of sonic impulses whose resulting acoustic responses determine the rules of games and pieces – echo, reverb, reflection. 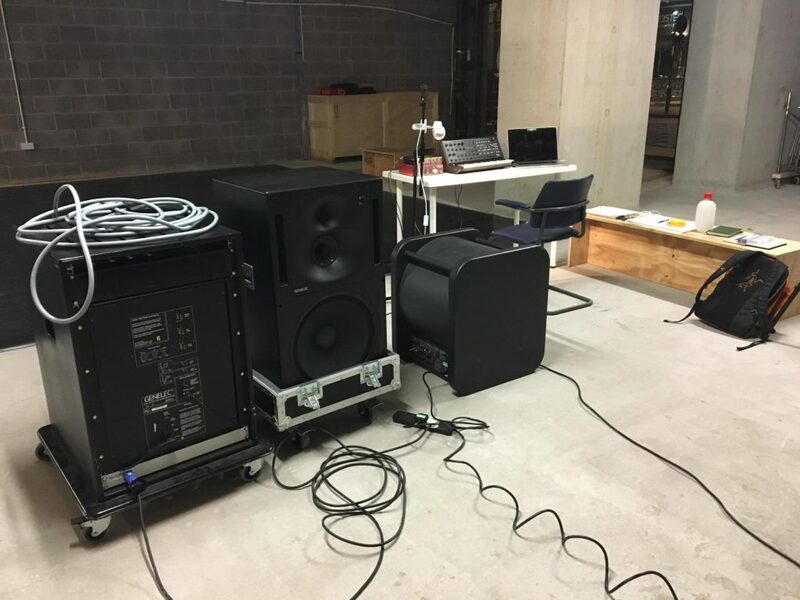 The endeavour of creating embodied knowledge of space through listening is the central aim of my PhD research, and the residency gave me a fertile ground to test ideas and situations with different groups of people in a variety of spaces. As well as performing the existing work Resonant Topologies: Listening-led Movement, I was able to develop two new pieces of work which will be key to the PhD project. The first, Spatial Drone is a live synthesizer performance which excites the strongest resonant frequencies of a given space. This is an improvisation which aims to subject a stationary audience to a range of body-listening experiences by putting the room into a range of contrasting resonant vibratory states. During this experience, the audience becomes explicitly bound to the space through vibration. The audience both hears and feels the materiality of the space. 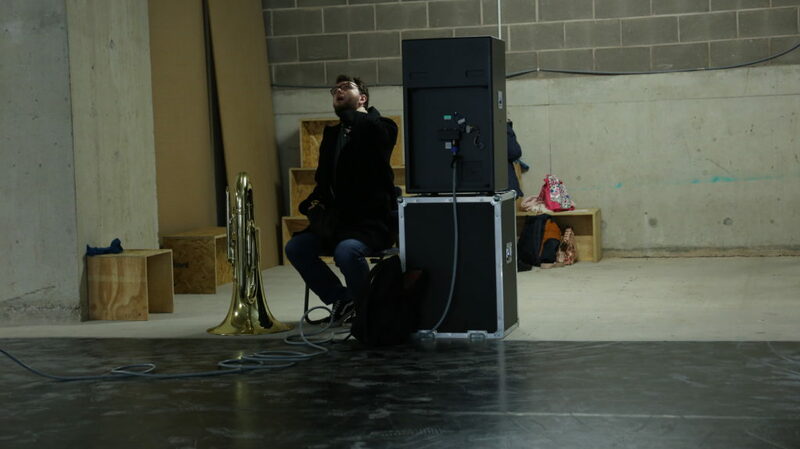 This piece was developed as both a solo performance, and as a collaborative performance with the Tuba player James Seabrook from the Royal Northern College of Music. 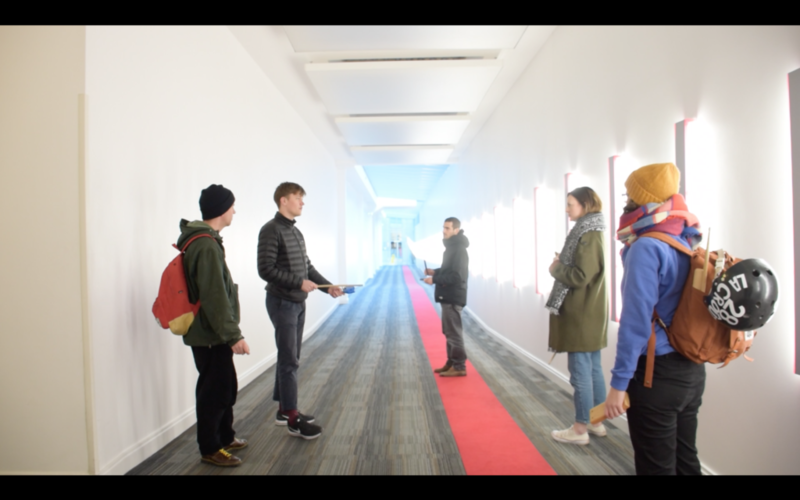 The second piece of work developed during the residency After Vespers: Architectural Sound Walk is a realisation of a series of games which aim to connect performer-participants with the architectural space that they occupy through impulses created from hand-held percussion instruments. In collaboration with a group of local artists who volunteered as percussionists, I worked these games into a single performance which spanned multiple architectural sites. An audience was lead round a series of architectural sites in central Manchester, which were sonically activated in various ways by a group of percussionists. The audience hear the spaces through which they are lead framed and reframed in relation to sounds that are emitted and patterns of movement which take place. 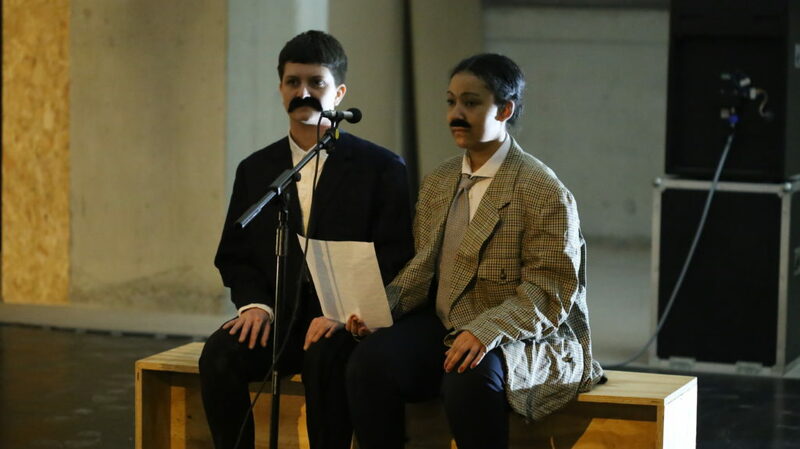 This performance was created in a participatory workshop on 24 November. The first of my two public events Resonance, Tactility and Movement explored how we can experience space through resonance in two key ways; first, Resonant Topologies: Listening-led Movement allowed dancers and the audience to explore through movement the topologies of loud and null spots created by standing waves. Second, a performance of Spatial Drone subjected the audience to a consideration of the stationary affect of resonance on the body. The second public event Space as Time, Space as Frequency, was the end of residency showing. 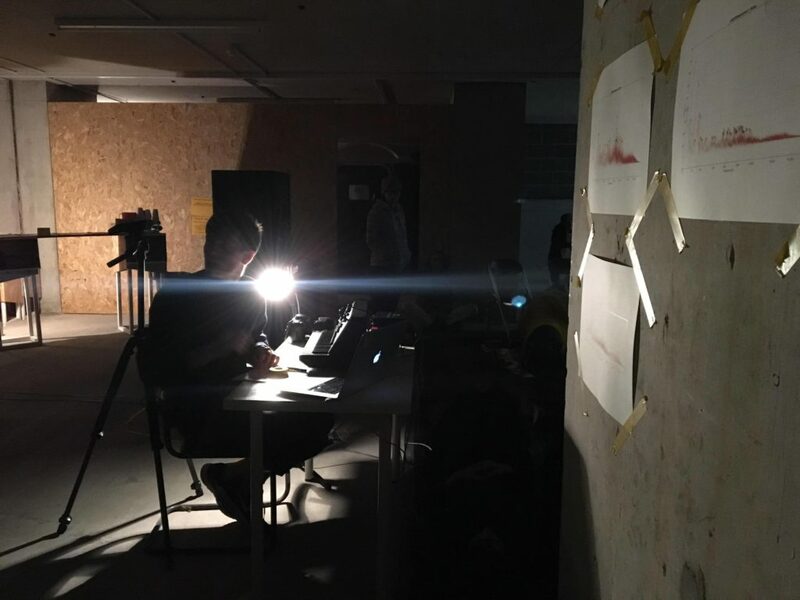 The programme aimed to convey sonic understandings of the LEGROOM space and other spaces around Manchester through time and through frequency; resonance and impulse. The first performance Alvin Lucier’s I am Sitting in a Room, acted as a ‘jumping-off point’ to contextualise the event. 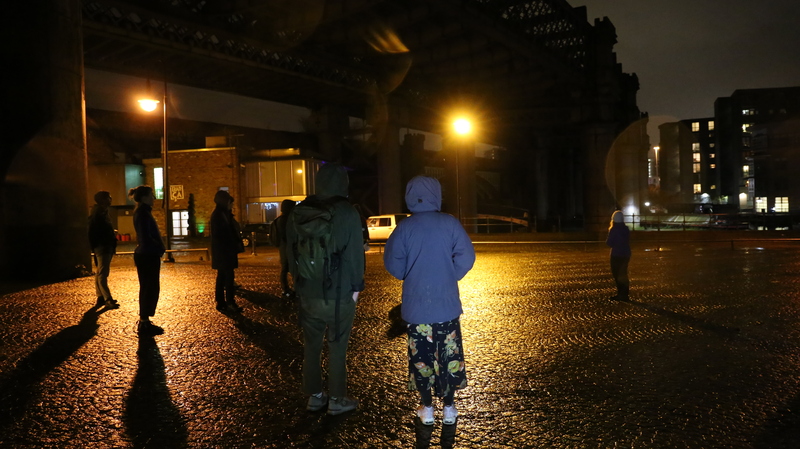 Following this, the audience were taken on the After Vespers: Architectural Soundwalk, a walking performance which acted to excite a number of architectural sites using impulses created by a group of percussionists. The evening concluded with two resonant evokations of the LEGROOM space: Stuart Mellor’s Partial Decay, followed by Spatial Drone 2 featuring Tuba player James Seabrook from the Royal Northern College of Music. This residency was made possible with in-kind support from LEGROOM and the University of Leeds.